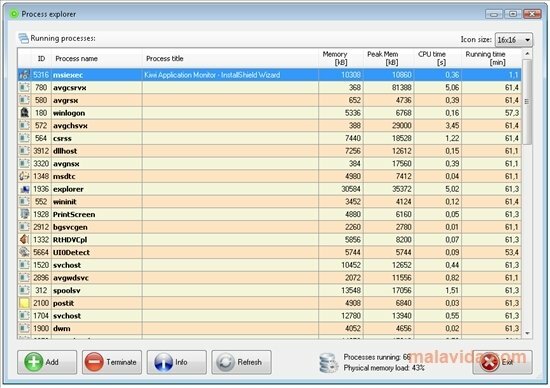 Kiwi application monitor is a software that will allow you to track any active system process. 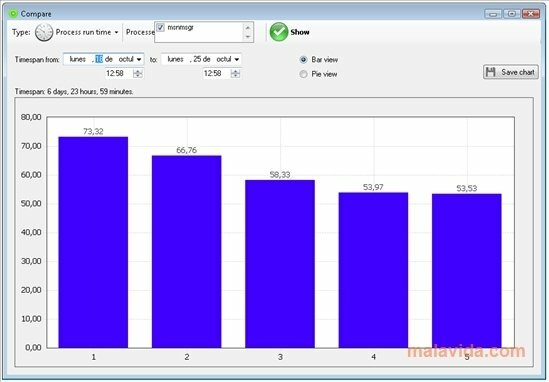 Thanks to Kiwi application monitor you will be able to know where any process comes from and much more important information that can be very interesting. 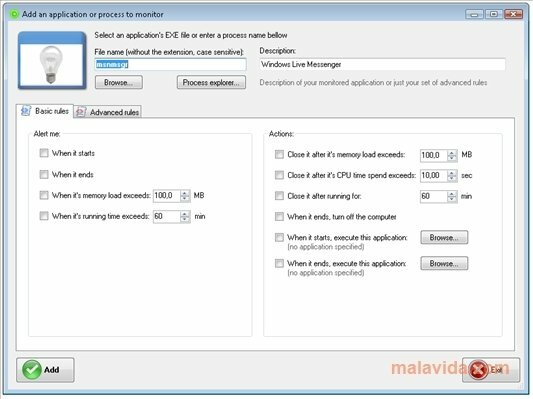 The application allows you to add processes, applications or users to be tracked, from the Add button at the top of the screen. - Last modification of a file and the modification size. 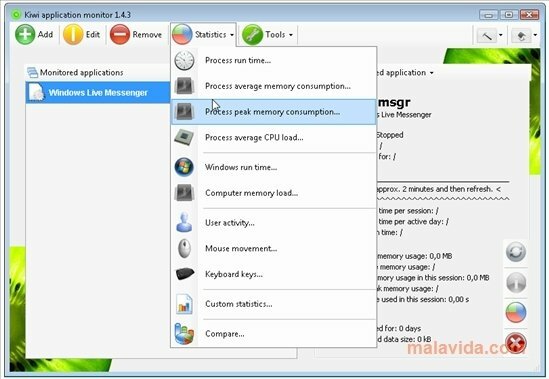 The interface that you will find when you download Kiwi application monitor for free is very well developed and allows you to know dozens of details about each element that you monitor. All this with a very well kept design and with full statistics that will allow you to easily monitor any process. Since it allows you to monitor any process, it is very useful to launch it together with Windows so that the software itself can obtain all kinds of details at any moment, which can be configured from Kiwi application monitor. 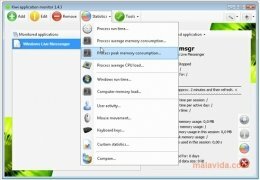 Some of the program's functions are only available in the Pro version.